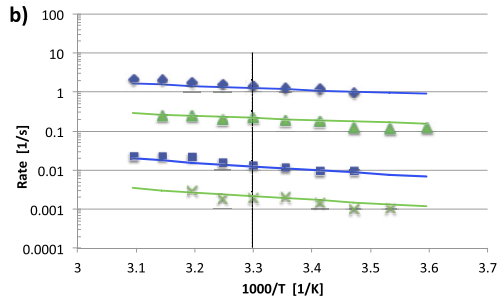 We build a qualitative quantum rate model with few free parameters that describes the transfer rates of hydrogen and deuterium in transfer reactions catalysed by enzymes, such as soybean lipoxygenase (SLO). The enzyme’s impact on the dynamics is modelled by an additional energetic term, an oscillatory contribution known as “gating.” By varying two key parameters, the gating frequency and the mean donor-acceptor separation, the model is able to reproduce the experimentally measured KIE data for SLO wild-type and a variety of SLO mutants over the experimentally accessible temperature range. While SLO-specific constants have been considered here, it is possible to adapt these for other enzymes. Szilard’s engine has played an important role in establishing the link between information theory and thermodynamics. Whether in the classical or quantum regime, the source of work in this engine is heat drawn from a thermal reservoir. Recent research, however, has suggested the possibility of engines that, in lieu of a thermal reservoir, draw power directly from measurements. 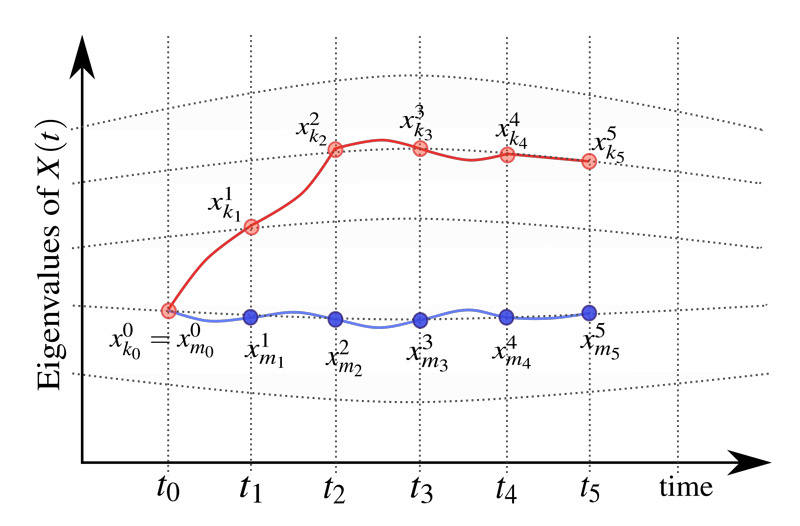 Here, we describe a general quantum Szilard engine, and conclude that if it is to draw work from projective measurements, its performance will be subject to certain restrictions. This observation is a first-step towards developing “second-law-like” relations for measurement-assisted feedback control beyond thermality. In classical statistical physics “work” is assigned with individual experiments, each characterised by a trajectory in phase space. Extending this concept to the quantum regime has been a cause of debate because of the lack of trajectories in quantum physics. One widely used solution is to measure the energy at the beginning and end of a process, and define work as the difference. However, due to the invasive nature of measurement the resulting work probability distribution does not actually describe the work statistics of the same system when it is not measured. Using the quantum histories framework to construct trajectories we here show how the characterisation of “work” of the unmeasured dynamics is possible. We find that the unmeasured work “probability” distribution can have negative “probabilities” highlighting distinctly non-classical features of quantum work. Of course, for classical systems the work of a system when it is measured and or not is identical, reflecting the fact that only in the quantum world it matters whether “one looks at the moon or not”, as Einstein and Bohr debated. Einstein realised that the fluctuations of a Brownian particle can be used to ascertain properties of its environment. 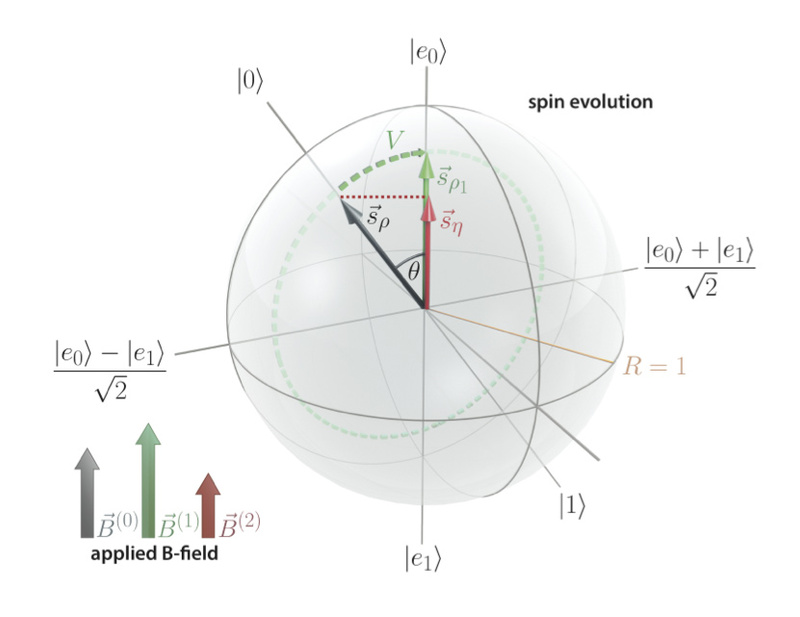 For nanospheres levitated by a laser in a dilute gas we develop a theoretical model that allows one to infer the surface temperature of the spheres, as well as the temperature of the gas in the vicinity of the sphere. We demonstrate this method experimentally and observe asymmetric heating of the sphere and gas, with temperatures reaching the melting point of the material. This method offers opportunities for accurate temperature measurements with spatial resolution on the nanoscale, and provides a means for testing non-equilibrium thermodynamics. 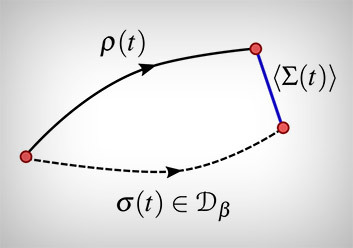 In apparent contradiction to the laws of thermodynamics, Maxwell’s demon is able to cyclically extract work from a system in contact with a thermal bath exploiting the information about its microstate. The resolution of this paradox required the insight that an intimate relationship exists between information and thermodynamics. We realize a Maxwell demon experiment that tracks the state of each constituent both in the classical and quantum regimes. The demon is a microwave cavity that encodes quantum information about a superconducting qubit and converts information into work by powering up a propagating microwave pulse by stimulated emission. Thanks to the high level of control of superconducting circuits, we directly measure the extracted work and quantify the entropy remaining in the demon’s memory. 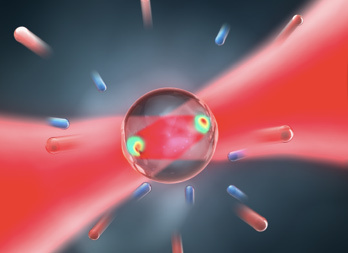 This experiment provides an enlightening illustration of the interplay of thermodynamics with quantum information. Standard thermodynamics rests on the assumption of systems being only weakly coupled to their environment. However, with experiments entering the strong coupling regime the extension of thermodynamic concepts, such as entropy production, to this limit is now of practical importance. We here show that the concept of entropy production can be carried over to the strong coupling regime, where it measures time-asymmetry and deviations from (a generalised class of) equilibrium states, in analogy to weakly coupled thermodynamics. 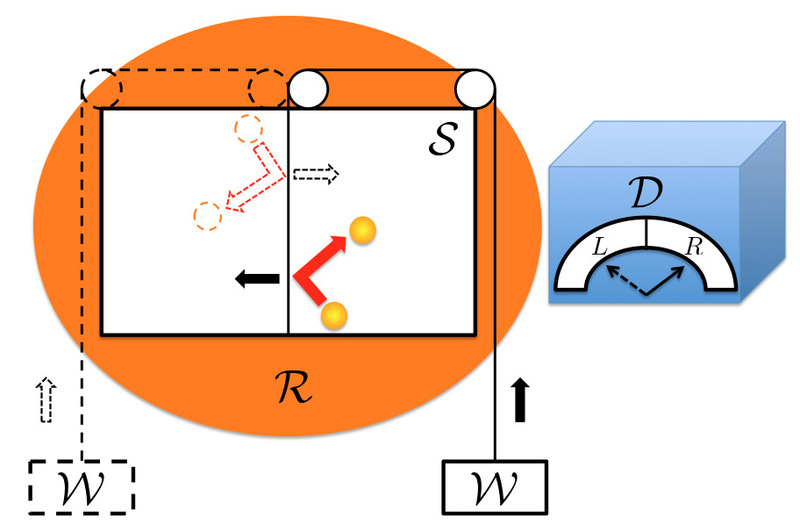 The resulting detailed entropy fluctuation relations pave the way to optimising the performance of small scale thermal machines where strong interactions cannot be neglected. Here we uncover that it is possible to draw thermodynamic work from the quantum coherences of a system, while there is no such contribution in classical thermodynamics, thus providing an answer to the above question. We provide details of an optimal thermodynamic sequence of steps that extracts the maximum work, which may be implemented using Nuclear Magnetic Resonance techniques.